Thought of sharing some of the updates on the Hook Analyser v2.4. The build is in-progress, and I'm targeting for first week of March, for the release. Dll Analysis - Now one could analyse DLL as well. 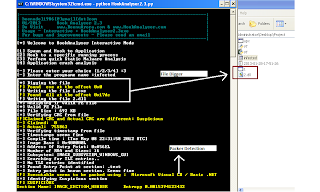 This is part of static malware analysis module. Exe extractor - This module allows dumping executable from an active process. This also has an option to dump all executables, on running processes. This is a new module, and is in testing phase. Deep search module - The deep search module has been re-written, and can be used to search for filename, paths,compiler patterns, backdoor patterns,shellcode etc. 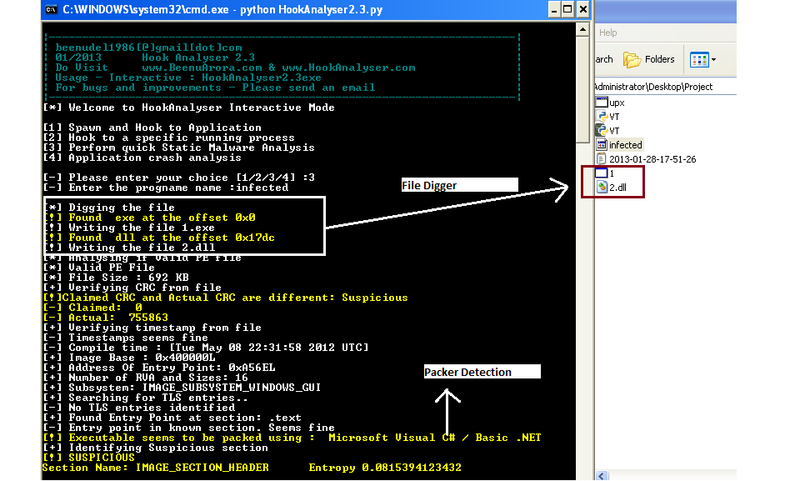 This is part of static malware analysis module. I will talk more about the modules, once I release it. Here is the new release of the Hook Analyser, v2.3. New digger module - Allows dumping exes, dlls, and drivers from an executable to separate files. Hook to a specific running process - The option allows analyst to hook to a running (active) process. Perform quick static malware analysis - This module is one of the most interesting and useful module of Hook Analyser, which performs scanning on PE or Widows executable to identify potential malware traces. Application crash analysis - This module enables exploit researcher and/or application developer to analyse memory content when an application crashes. Feel free to write me back (beenudel1986@gmail.com) if you've any feedback or thoughts.